Conspiracy theory YouTube channel 'Colourufo' recently uploaded an eerie clip that shows a white orb moving across the night skies of Mexico. In the initial moments, the UFO remained stationary in the skies, but picked up pace before disappearing in the night. When watched in ultra slow motion, a triangular shield can be seen around the UFO, and it compelled many viewers to believe that the object in the skies could be actually an alien UFO from deep space. As the video went viral, popular UFO researcher Scott C. Waring analyzed the clip and argued that the eerie object appeared in the Mexican skies could actually be a semi-cloaked alien spaceship. "ColourUFO caught an amazing Pyramid UFO that is semi-cloaked moving through the clouds. I have heard of pyramid clouds, but very few legit reports come in like this one. As you see the cam takes a photo every few seconds so there is a jump in-between, but the UFO is seen in many still shots," wrote Scott on his website UFO Sightings Daily. Scott also added that Mexico has emerged as the hotbed of alien activities. The new sighting in Mexico was reported just a few days after a strange object was spotted in the International Space Station (ISS) live feed. The grey colored object appears to be floating above the earth, and it has the exact shape of an aircraft which people have seen in Hollywood sci-fi flicks. After analyzing the video, many conspiracy theorists argued that the alien life theory could be a reality. 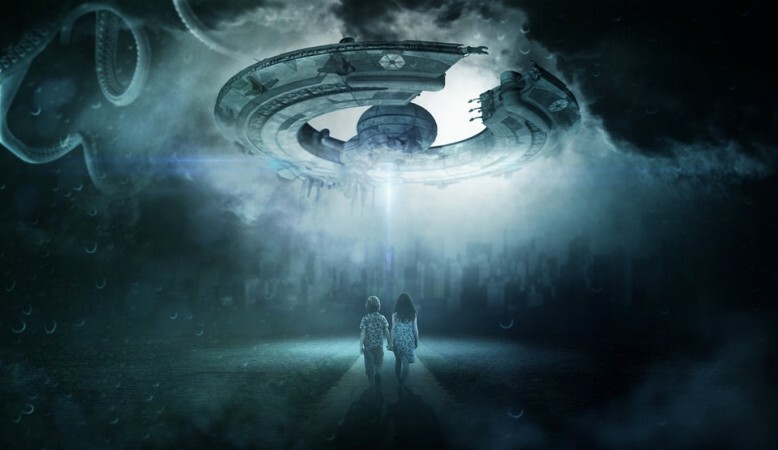 They also allege that governments around the world and space agencies are intentionally covering up secrets about extraterrestrial life fearing public panic. A week ago, an amateur British astronomer had spotted a saucer-shaped UFO speeding across the moon.